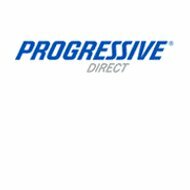 A review of Progressive Preferred Health Insurance Company leads to Progressive Preferred Insurance, a leading auto insurance provider. Progressive offers a host of other insurance policies besides auto insurance, from the company either directly or by partnering with other insurance providers. So while you are able to purchase health insurance from Progressive, the policy is administered by eHealth Insurance Services, Inc. Looking for health insurance quotes for policies in your area? Please type your zip code into the box above to proceed. Although you can get a quote for health insurance while looking through Progressive’s website, the link takes you through to eHealthInsurance and Progressive takes no responsibility for any content you find. These policies also cover visits to nutritionists and acupuncturists. Contact Progressive Preferred for more information on these policies. They are subject to a deductible and then policyholders are reimbursed up to 80% on covered costs. If you get a quote through Progressive for Pets Best health insurance, you can also receive a 5% discount on your pet policy. Otherwise, you can get information directly through Petsbest.com. Progressive commercials highlight the company’s dedication to its customers and it’s reflected in the grade of “A+” given to the company from the Better Business Bureau. Although there have been hundreds of customer complaints in just the last three years, the BBB felt that Progressive handled them appropriately. Progressive has also received a rating of “A+,” a superior rating, from A.M. Best. The rating also includes a stable outlook and an issuer credit rating of “aa.” For a company with more than $2 billion in assets, these are great grades. It seems that many people are looking for a job these days, and Progressive currently has 137 openings listed on its website. These range from sales representatives to senior product analysts and from loss prevention information analysts to legal assistants. The job openings are in different offices all across the U.S., so you might find a few local to you. Progressive’s Career page on the company website has a lot of information. In addition to the ability to search through jobs, you can also sign up for the company’s “Talent Network.” This allows you to list your career objectives and, if an employment opportunity presents itself that fits your objectives, Progressive will send you an email to notify you. The company also has a “GainSharing” program whereby employees receive compensation when the company meets its goals (and shares its gains financially). In addition, Progressive has many more employee benefits, including rewards for employee referrals, and for service anniversaries. There’s identity theft coverage, vendor programs, and discounts on Progressive’s own administered policies. Still looking for health insurance? We can help! To start, type your zip code into the box below and we’ll provide you with health insurance quotes from companies in your area.